SoxProspects Senior Correspondent, Jonathan Singer, checked in with Portland Sea Dogs left-hander, Robby Scott, who has worked on pitch development and seen success this season. 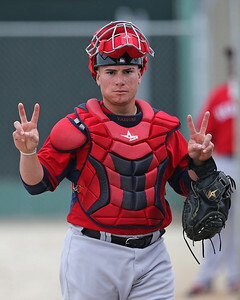 Last week's SoxProspects Players of the Week were Rafael Devers and Anthony Ranaudo. Devers and Ranuado both dominated polling after they turned in very strong performances. Ranaudo talked to WEEI.com's Joon Lee about adjustments he has made to his mechanics, which have allowed him to get positive results. Lee also talked to Will Middlebrooks about working his way back from injury and testing prescription glasses to try to help him at the plate. Middlebrooks, who began his rehab assignment on Saturday, will be trying a new position in Pawtucket, the outfield. Boston.com's Craig Forde talked to a member of the Pawtucket outfield, Alex Hassan, who talks about how his small experience in the majors will help him back at Triple-A. Right-hander Clay Buchholz made his first rehab start on Saturday. The results were mixed for Buchholz, who allowed three runs in 4 2/3 innings, walking none and striking out five. The next step for Buchholz's rehab has not been determined. Another rehabbing starter, Felix Doubront, pitched well in his second outing for Pawtucket on Sunday. The left-hander did not allow a hit in five innings of work, walking four and striking out ten. MLB.com's Steven Petrella, closes out our news on rehabbing Red Sox, indicating that both Middlebrooks and Shane Victorino will both be in action this evening for Pawtucket. 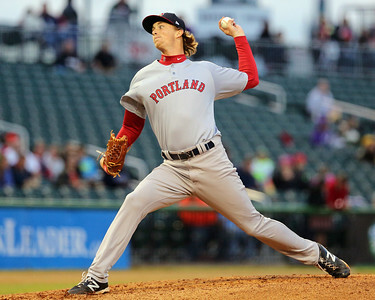 WEEI.com's Alex Speier and Katie Morrison recapped left-hander Henry Owens (pictured) record setting evening on Saturday. The Sea Dogs hurler broke a Portland franchise record for consecutive scoreless innings with 27 2/3, passing former Red Sox prospect Kris Johnson's mark of 24 set back in 2008.